Ahmed Kathrada. A real man.Courageous revolutionary, defender of the just cause. Posted by cubainsidetheworld in AFRICA, Ahmed Kathrada, Cuba - South Africa - Relation. A veteran of the South African liberation struggle, Treason Trialist, long-serving political prisoner on Robben Island and Pollsmoor Maximum Prison, African National Congress (ANC) leader and Member of Parliament. 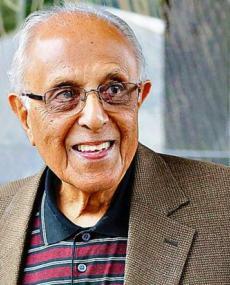 Ahmed Mohamed “Kathy” Kathrada was born on 21 August 1929, to Indian immigrant parents in Schweizer Reneke, a small town in Western Transvaal [now North West Province]. While he attended Johannesburg Indian High School, he came under the influence of Dr. Yusuf Dadoo and the Cachalia brothers, who were leaders of the freedom movement in the Transvaal. US Organizations Criticize New Measures against Cuba.